Edmund has extensive experience in residential conveyancing and commercial conveyancing and acts for companies, high net worth individuals and offshore trusts. He also undertakes residential development work for small to medium-sized developers. Edmund frequently advises on joint venture agreements, collateral warranties, development agreements and has acted for a number of major lenders. Edmund Grower has extensive experience in residential conveyancing and commercial conveyancing and acts for companies, high net worth individuals and offshore trusts. He also undertakes residential development work for small to medium-sized developers. Edmund frequently advises on joint venture agreements, collateral warranties, development agreements and has acted for a number of major lenders. 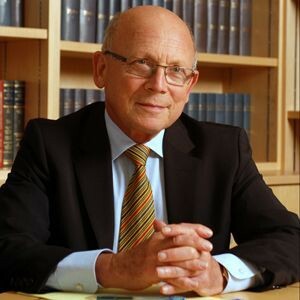 Edmund qualified as a solicitor in 1971 and formed his current firm in 1991 and has been the Managing Partner since 1998. During the late 1970s and then again in the early 1990s, Edmund acted for Tenants Associations in the break-up of a number of substantial mansion blocks of flats, acting principally in the acquisition of the freeholds and the simultaneous granting of long leases to the residents. He frequently acts for receivers and liquidators on property-related issues and has represented various banks and building societies in relation to volume repossession actions. In addition, he has acted for a number of banks (both in the UK and offshore) and building societies in relation to security work. More recently, Edmund has worked with Galliard Homes (one of the largest developers in the south-east of England) in connection with the off-plan sales of large numbers of flats in London. Edmund has also acted for several prominent sports and media personalities in respect of the purchase and sale of property investments and has spoken at property seminars and on the radio. He is currently a Governor of St Margaret’s School, Hampstead and is active on a number of charities including MENCAP.